The humble “book box.” Also known as the “1.5” because its volume is 1.5 cubic feet. Besides books, we use this to pack the smaller heavier items throughout the house. From the kitchen we would take the canned goods, and the food bottles like for Olive Oil and Worshesthire Sauce. 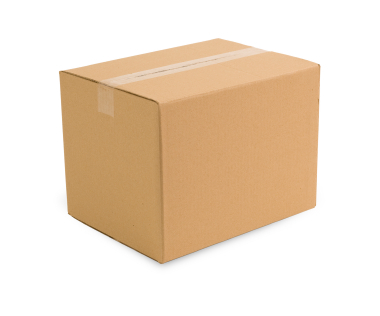 For a local move where we are actually transporting food from the refrigerator, we could put some food from the refrigerator in this box. From the bar, we would pack the liquor bottles, but not the glasses. From the home office, besides the books, we would pack the files, and some small, heavy things like UPS’s with battery backup. This box’s smaller size makes it easier to carry close to your body, so it is not as hard on your back. And they stack up really nicely three or four high on a handtruck or 4-wheel dolly. This entry was posted in Box-Packing and tagged Book Box, Small Box by Bob McGregor. Bookmark the permalink.